Gang, Jax is very sick. On Tuesday night, Jax spiked a fever of 104° and his cough got very bad. I brought him to the pediatrician’s office on Wednesday morning where a chest X-ray confirmed pneumonia. His case is mild, but his weak lungs are not handling the illness well. He was admitted to Children’s Hospital last night because he just wasn’t getting better. He is lethargic and not eating or drinking. He’s hooked up to IV medications and fluids and that seems to be helping some. 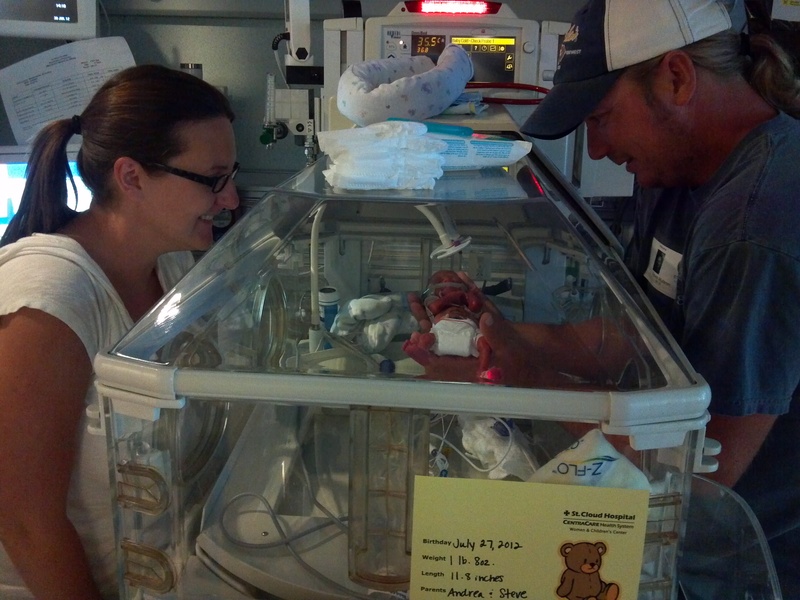 Overnight, Jax’s oxygen levels dropped to 83 and he could not recover on his own. He was put on oxygen. His oxygen needs have steadily increased from 1 liter up to 3 liters. Even on 3 liters of oxygen, he is still sating at 89 – 91. Right now, we’re trying to get him to sit up and play to open up his lungs, but he has very little energy. Jax is too sick to be bored. It is so scary to see our bouncy, cheerful little boy so sick. It’s been 3 years since Jax has been on oxygen support. Steve and I are having a really hard time seeing Jax on oxygen in the hospital – we had hoped we were safe from this now. Jax will be in the hospital at least two more days. We don’t know how the rest of our time here will shake out. Please, keep us in your thoughts over the next few days. We are scared parents! Sending hugs and prayers. So scary for you! Your little boy is a strong fighter – hope he is recovering now and you can leave that scary oxygen behind. Stay strong, Mama. prayers for all of you Andi! So sorry Andrea this has happened – very scary. Praying for all of you. So sorry to hear this. Seeing them back in 02 is SO hard! We went through that last year when Jack was 4. It was even tougher because I really thought we had protected his lungs for so long that he would have handled the illness better at age 4. Praying that Jax feels better soon. Heather – that’s exactly it! I thought we were “safe” from hospitalization because of a cold. 😦 I’m sorry you had to go through that with Jack, too. It’s so scary! I’m sorry to see this post. It is so scary to see our kiddos get so sick. I hope this is the worst of it and he’s on the road to recovery very soon. Thinking of you guys. Thanks, Alison. It was a very scary week. You totally get it! Next Next post: Six Liters to High Flow: Cool Band Name or Worst Nightmare?